This is a right and an option, but not an obligation. Therefore, it is important to preserve that right in the judgment of dissolution of marriage (often referred to as the “divorce decree). If the name change is not covered by the judgment, an entirely new legal case must be filed to obtain a name change. A name change outside of the divorce proceedings requires the filing of a petition for name change pursuant to statute. The law provides some restrictions upon who can file for a name change. For example, certain felons are prohibited from changing their name until a certain number of years has passed since completion and discharge from his or her sentence. Depending on the type of case, other felons never permitted to file a petition for a name change. In most cases, however, the petitioner must simply have been an Illinois resident for at least six months. A petitioner can also ask in the name change petition to change the name of his or her spouse and adult unmarried children who have consented to the change, and minor children “where it appears to the court that it is for their best interest.” In the case of adoption, if the child has lived with the family of the person for three years and has been recognized and known as an adopted child in the family of that person, the application process is the same. The wishes of the child’s parents and any person acting as a parent who has physical custody of the child. The wishes of the child and the reasons for those wishes. The interaction and interrelationship of the child with his or her parents or persons acting as parents who have physical custody of the child, step-parents, siblings, step-siblings, or any other person who may significantly affect the child’s best interest. However, to change the names of children as a result of divorce is not so simple, particularly if one parent does not agree or consent to the name change. Recently in the case of Marriage of Piegari, during an ongoing divorce case, a wife filed a petition with the court to change the three minor children’s last names from her husband’s last name to a hyphenation of the husband’s last name and her maiden name. The children at the time were ages 4, 2, and 2 (twins), and the court had previously entered an allocation judgment/parenting plan granting the wife the majority of parenting time and joint decision-making authority to both parents. In her petition for a change of the children’s surname, the wife claimed that hyphenating their last name would “avoid future confusion when [she] enrolls the children in school and [in] extracurricular activities” and would “allow the children to appreciate and enjoy their cultural heritage,” since the husband’s last name is Italian and the wife’s maiden name is Scots-Irish. Moreover, she argued that because the children are still young, changing their last name would not cause them any confusion, and would not affect their involvement in school and in the community. The trial court considered the relevant factors of the law as noted above, and noted that “the burden of proof in such cases is a high one, as the statute clearly states that a name-change order ‘shall be entered as to a minor only if the court finds by clear and convincing evidence that the change is necessary to serve the best interest of the child.” The trial court denied the wife’s petition for a name change of the children. Since she had previously done so on a website for one of the children who had undergone surgery, the court further ordered that the wife refrain from changing the children’s names on any public documents going forward. The wife filed an appeal. On appeal, the court noted, “With respect to changing the children’s surnames, ‘the consistent use of a single name is important to the child’s emotional development, and, as with any other best-interest determination, it will not be lightly undone.’” The Appellate Court did not find the wife’s arguments convincing. They were concerned with whether the wife presented clear and convincing evidence that her name change request was necessary to serve each of the children’s best interest. In the Piegari case, the Appellate Court noted that “In the age of social media, what constitutes an ‘official record’ is certainly debatable.” In any event, it found that the trial court’s prohibition on the wife was a “justified prior restraint on [the wife’s] alleged ‘right’ to refer to her children, potentially to their detriment, by some extra-legal surname,” and the trial court’s ruling was upheld. 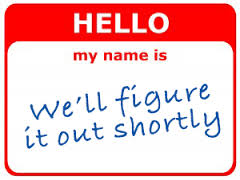 Clearly, navigating the legal process for the purpose of a name change can be complicated. Please contact our offices for a consultation.